With our expertise and trustworthiness, we are engaged in offering an optimum quality range of Agitator Seal. Application: Corrosive Chemical, Pharmaceutical Industries, Food Industry, Petrochemical Refinery. 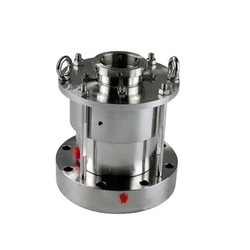 The Agitator Seal provided by us is widely used by the pharmaceutical industry for handling hazardous chemical fluids. Stationary: TC, Silicon Carbide, Cast Chrome Steel. Hardware: AISI 316, alloy -20, Morel, Hastelloy-B/C. Shaft diameter - d: 25 to 100 mm. Unbalanced Double Back to Back Seal Super Style For Top / Side Entry Agitator. 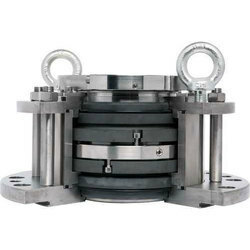 - Agitator Seals are specially designed to minimize the wobbling of the agitator shafts due to heavy agitation. With the variations in the temperature conditions, the agitator shaft expands and contracts, our range of these seals optimally regulate these variations.